ORO VALLEY, ARIZONA – Scottsdale-based 1784 Capital Holdings, LLC, has purchased 1.61 acres of land at 11061 N. Oracle Rd. at Steam Pump Village in Oro Valley, Arizona. The company plans to build a $10 million, Class A self-storage facility to fulfill the growing demand for storage in the Tucson suburb. 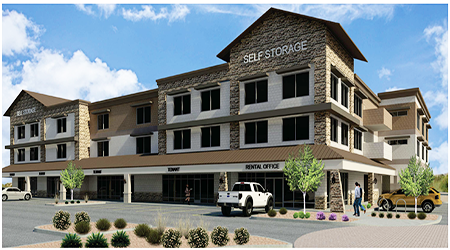 1784 Capital Holdings plans to build a 108,533-square-foot self-storage facility that will contain approximately 807 storage units. The property will be visible and easily accessible from Oracle Road. It will also feature state-of-the-art, 24/7 security. The same buyer, 1784 Capital Holdings acquired 2.81 acres at 121 W. Orange Grove in Tucson last year and recently opened Phase I of a two-level, freestanding self-storage facility on the property with 532-units doing business as Life Storage. 1784 Capital Holdings is a leader in the development and ownership of institutional quality self-storage facilities and plans another 716-units in Phase II on this site. The company purchased the property from Evergreen-Steam Pump, LLC, for a price of $525,000 ($7.50 PSF). Brenna Lacey and Dave Hammack at Volk Company in Tucson represented the seller and Denise Nunez of NAI Horizon in Phoenix represented 1784 Capital Holdings. “I’ve represented 1784 Capital Holdings numerous times, and have always found them to be very responsive and deliver on their commitments,” says Nunez. 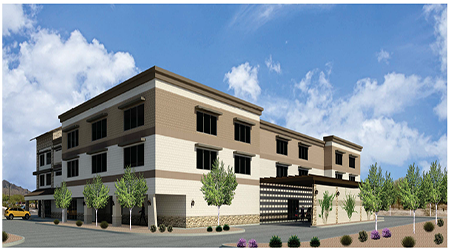 TLW Construction of Gilbert, Arizona, will be the contractor, and groundbreaking is scheduled for November of 2017. For more information, Nunez should be contacted at 602.393.6784 and Lacey and Hammack are at 520.326.3200, for more on 1784 Capital Holdings, visit www.1784Capital.com. To learn more, login and see RED Comp #5102 and go to RED Listing Registry for more properties like this. Sale date: 8/14/2017. Sale Price $525,000. Document #2017-2260276. APN: 220-08-454A.